A walk of about 3.4 miles. 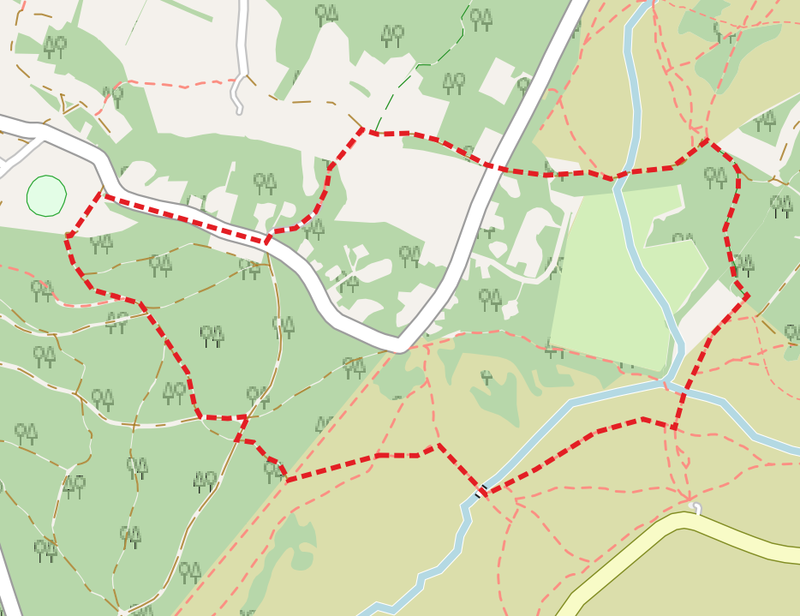 Starting at Woodgreen Common, the route heads up to Lady’s Mile and then drops down into Millersford Bottom. You’ll then follow the stream to Miller’s Ford itself and then head up to Hale Purlieu through Millersford Copse. (NOTE: the terrain can be very boggy and slippery after wet weather – not a walk for trainers!). Millersford Plantation, to the south east of Hale Purlieu, is comprised of Scots Pine and Spruce. It is now being cleared of conifers and reclaimed as heathland. Millersford Copse in the south west of the Plantation is a small pocket of deciduous woodland. Miller’s Ford itself was an important crossing point across the marshy valley providing access between Woodgreen and, as the name suggests, Breamore Mill and all points south and east. Woodgreen Common. Enter Godshill Inclosure through the gate in the far corner past the cricket pavilion. 5-way junction The path descends to a 5-way junction: take the second exit which is essentially straight on. T-junction After 300m, turn left onto a gravel track. Cycle track After 150m, the track emerges in a wide clearing and joins a wide cycle track. Turn right for 20m and then take the path on the left. Lady’s Mile The path reaches a gate leading out of the woods onto Lady’s Mile. There are many minor paths here, aim half-left and continue in this direction down the slope. Track After 300m, take a half right onto a track heading to the footbridge in the valley. Footbridge Cross the footbridge and follow the stream to the left. Fords Continue past the first ford and cross the stream at the second ford, 140m further on. Millersford Copse With a small wood on your left, take the footpath to a gravelled forest road. Turn left on this and continue through the wood for 380m. Look out for a footpath on your left, just before you emerge from the wood. Footpath Take the footpath back into the wood for another 200m. Hale Purlieu As you emerge from the wood, take a sharp left and follow the track up to Hale Purlieu. Road Turn left along the road for a short distance and then take the track on the right. Footpath Just past a junction on the right, look out for a stile on the left. Go over this and cross the field to another stile in the far right corner. Continue on this path through a wood until it reaches the road. Godshill Wood Cottage Turn right and return to Woodgreen Common.